Standing perfectly by the serene Lady Bird Lake and a few steps from the infamous 10-mile Austin Hike-and-Bike Trail, The Shore Condos in Austin Tx are the ideal home for downtown dwellers with ever discerning lifestyles. The Shore Condos offer the residents with convenience and easy access to the 6th Street, Austin’s Central Business District, the Austin Convention Center, numerous shops, restaurants and entertainment hubs, I-35 and Mopac. And with the beautiful Lady Bird Lake just around the corner, active enthusiasts will enjoy outdoor recreations like kayaking, canoeing and rowing. The Shore Condos features controlled access to the building and parking areas to bestow residents with maximum security. On-site managers provide hospitality 24/7 and welcome residents and visitors at the stylish lobby, which also provides free Wi-Fi connection. Meanwhile, interiors of the The Shore Condos are enamored with a mixture of minimalistic yet luxurious design and gallantly finished with hardwood bamboo floors, granite counter-tops, back-splashes in porcelain tile, solid wood cabinets and stainless steel appliances. Tall windows, high ceilings and a clear linear pattern add lightness and space to the rooms. Bedrooms beautifully carpeted while bathrooms are equipped with granite counter-tops, fine wooden cabinets and porcelain tiles. The Shore Condos center for relaxation which resembles the amenities of a fine resort is known as “The Terrace”. Found on the 6th floor, residents fall completely head over heels for The Terrace which features magnificent views, a lap pool, a fitness center and an outdoor kitchen that perfectly complements outdoor experience with friends and loved ones. Spend breath-taking moments overlooking the lake and the Texas Hill Country with the modernized private balconies. During the months of May to November, watch the famous spectacle of up to 1.5 million Austin bats in nightly shows as these nocturnal creatures conquer the summer sky over the nearby Congress Avenue Bridge. Towering high above all Downtown Austin Condos, the 22-story condominium has been certified by the Austin Green Building Program. It offers 192 well-furnished studio, one-bedroom and two-bedroom units. 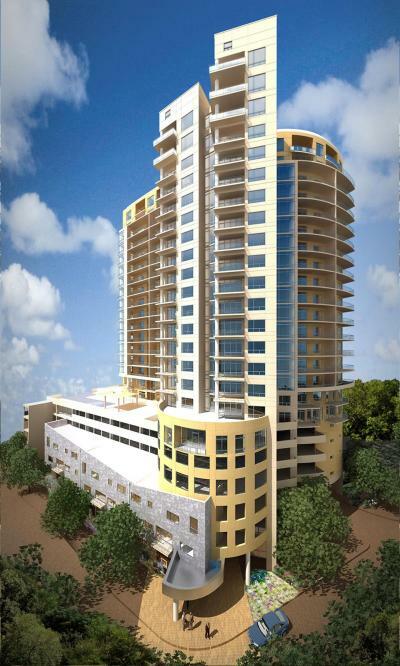 The Shore condos for sale in Austin range from 632 to 3077 square feet . The Shore condo prices range from $200k to more than $1 million.